Hi all, come Join us for a Full moon tribal gathering and bring your friends and toys. Join in on art spaces, great food, and let our sonic sourcerers take you imagination, body and soul for a wild ride on the dance floor ! The full moon is a time of the brightest light in the middle of the night. 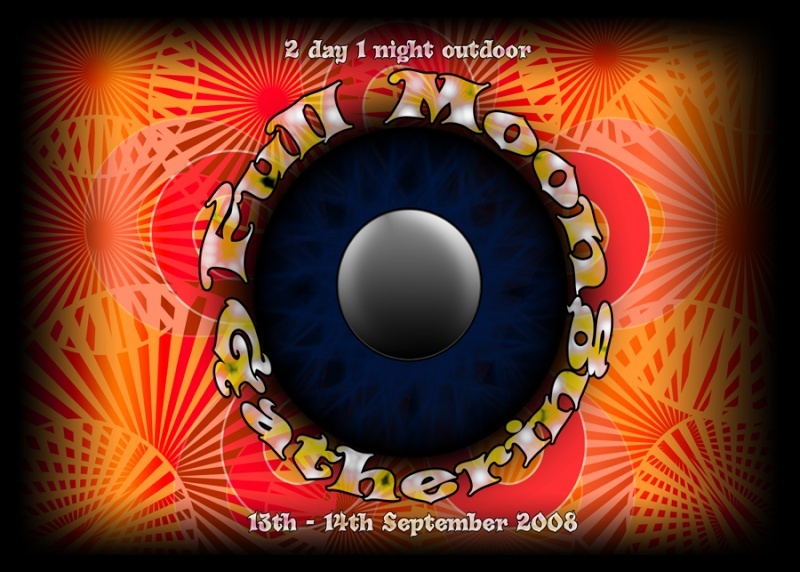 Lucid Realms presents another full moon party with tons of fun to be had by all. Hedonix are Rob and Steve, two discordian popes hailing from Sydney, Australia. They have been producing music together since 2001 and have had their main releases on Electric Power Pole Records (Australia) and Cosmic Conspiracy Records (New Zealand). The music which Hedonix produce is a direct reflection on their personalities in that it is funky, quirky and fun. They tend not to limit themselves to any particular genre of psychedelic trance but set out to combine the best elements of all the styles and other electronic music genres while making sure to keep each track groovy, twisted and full of surpises. Kohra, is one of the only progressive trance acts that hails from India. He has played at almost all major dance festival in India, and also many of them overseas. His style is a constantly evolving blend between psychedelic progressive and deep tribal tech or minimal. Being a percussionist for over 4 years he blends together grooves off all kinds and binds them together, and layering them with traditional Indian elements he creates complex atmospherics. He has worked on various productions and compilations with some of the most renowned progressive act's such as Antix, Midimal, Elastic, Jey & Ex, Trancemission, Fat Data, Nyquist, Odesio & Gandulk to name just a few. "Second Sight a.k.a. Brown started producing psychedelic beats in 2004, having completed an Audio Production and Sound Engeneering course at SAE. His sound is deep, dark and smooth and meticulously crafted, showing his classical training. His influences include Freq, Antix, Sun Control Species and the Iboga sound in general, and in his live performances he strives to blend that progressive sound with the darker side of psychedelic trance. He has become a regular act with lucid realms and Mutagen events and many other psy gatherings in Melbourne, and, with his upcoming move to Byron Bay and first gig there at Green and Groovy in August, is sure to become a mainstay there too. Player One/Tilt Axis is 24yr old Dwayne Banham,now based in melbourne and originally based in cairns,has been delivering quality psytrance to the australian dancefloors for 6yrs,playing amongst many artists over the years, including Freakulizer , E-Jekt , U-Recken , Nitro , Hallucionagen , Entropy , Eduardo , Triptich , Antix , Infected Mushroom , Beat Bizzare , and stacks more, and in 2006 was welcomed into the Dooflex Records family,a side label of Doof Records based in Israel,highliting the more grey area of morning full-on/progressive,is sure to keep you stuck firm to the dancefloor. Let Lentil as anything tantilize your taste buds, a refreshing swimming hole to invigorate your senses, plenty of shade and great visuals that will entice your creative juices. There will be roaming performances, workshops, spontaneous acts, art spaces and bring instruments to make and be a part of a jamming space. Fire liquid will be available for fire twirlers so please feel free to bring your sticks and extra fuel maybe. Tickets will be available soon at $25 or $40 on the gate. There is no door list and ticket info will be available soon. For more information or to contact us please visit www.ozfestivals.com. Please contact us if you would like to be involved and be part of the full moon journey. Do they hold these regularly?